Fiona is such a cuddle bug! This stocky, powerful girl is great in the car, loves to snuggle and kisses with the best of them. Her life has been pretty rough for many years, but she has all kinds of love to share. Due to her past, she will only be adopted to a savvy, experienced pack leader. With the right structure, Fiona would be best as the only dog. She is microchipped, spayed and fully vaccinated. Fiona is 4 years old. Fiona was rescued from a hoarding home. A very nice lady saved her from the street but unfortunately she was never let out of her crate. Fiona lives in her crate for almost a year and a half. She never was allowed outside! But finally she was rescued by two angels who call themselves Angels Four Paws. she love to be outside playing in the yard. She loves to cuddle up in bed with you watching your favorite shows. Also love it if you can give her belly rub. She is a good girl. 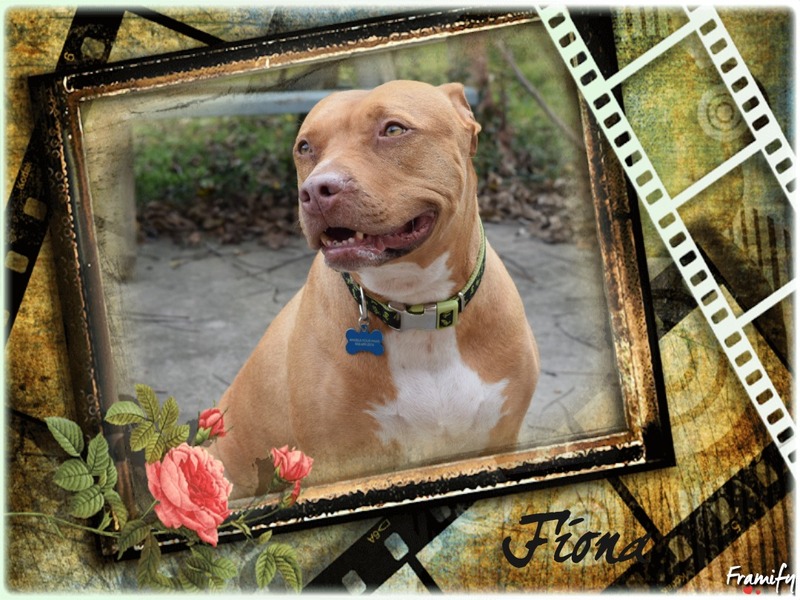 The best home for Fiona is one with no other pets and a fenced-in yard. She would be a great candidate for a dogie door. The rest is a breeze. She's just a huge sweetheart. If you are looking for a one-and-only pet that will cherish you as her one-and-only love.